Ya maryam (Hail Mary) by Sinan Antoon, Cologne: Dar Al-Jamal, 2012. Shortlisted for the Arabic Booker Prize in 2013, Ya Maryam is written by the Iraqi novelist, poet and scholar Sinan Antoon. Born in 1967, and at present a resident of New York, Sinan Antoon is fast becoming not only the voice of the disaffections of modern Iraq, but also one of the most acclaimed authors of the Arab world, having already won several literary awards. Among his accolades is an award for his translation of Mahmoud Darwish’s poetry. The early scenes of the novel, depicting the serene life of Youssef — a translator by profession — and his sister Hannah — now dead for seven years — are of the realism of Balzac, creating atmosphere through sights, sounds and smells. The tactile details are extremely functional in rendering the simple rituals of the everyday life of an elderly brother and sister who are deeply committed to each other. Youssef and Hannah represent lives spent in quiet self-sacrifice but played out against a turbulent political background. Tracing the fortunes of two families, the narrative is built on a two-fold panel, each delivered in the first person. Not surprisingly, the two narratives present conflicting views. Joined yet separate, adjunct but not parallel, each is delivered in a different voice, carrying with it a different perspective, tone and tempo. The longer account, quiet and contemplative, is of the old and nostalgic Youssef; the other — shorter, more intense and dramatic — is of the young and disenchanted Maha. Both together give us a panoramic view of Iraq, its history, its iconography and its bitter present. Rooted in the past, Youssef provides us with his family history which doubles as a synopsis of modern Iraqi history. A gallery of photos, a familiar literary trope, initiates the story of this family. Several generations of a large clan provide inroads into diversified aspects of Iraqi life. Starting in the 1940s, the many scenarios are of Iraqis whose lives coincided with the brutal murder of King Faisal and the rise of the Baath Party, bringing in their wake coups and counter coups and a line of dictators. They are also the years of the rise of modernity, of oil revenues and opportunities, as well as education for all, especially girls. Fortunes and misfortunes, political malaise, imprisonment and executions, military invasions, as well as imposed migrations make up the storyline of both the family and the country. Although Christian lives are the main focus, the narrative includes Muslims, Jews and Armenians, who at one point in history are happy to be Iraqis all. Multiple, almost incongruent allegiances are expressed in names and activities which range from European, Kurdish and Persian to Arabic. Through it all, Youssef remains adamantly loyal to his national identity, to an all-embracing Iraq, secure in his inter-faith friendships and his deep fondness for his heritage. Maha, the speaker in the second fold of the panel, has a different story to tell. Instead of Youssef’s clan, her family is nuclear, uprooted and always on the run. Embroiled in the sectarian and political reality of her days, Maha has no appetite for Youssef’s sentimental attachment to a past she cannot even begin to understand. Shaped by the harsh reality of her existence, her consciousness is early on imbued with the raids of the first Gulf War and later engulfed by the terror of abductions and sporadic explosions. Her sorry present is made up of forced migrations, religious marginalisation and aborted dreams, real and imagined. Still In her early 20s, she is breathlessly scampering for the chance to finish her medical studies and flee, along with her young husband, to the coveted safety of foreign parts. Notwithstanding the many time shifts, the events of the novel basically cover one day and climax with the horrific attack on the church of the Lady of Deliverance in Baghdad, in November, 2010. While the attack leaves Maha with an even stronger sense of desolation, it actually kills Youssef. Although hardly a church-goer, he happens to be there to observe his sister’s seventh anniversary. The personal narratives, intersected with political events, are delivered in candid Arabic, with a heavy dose of various Iraqi dialects. There are multiple motifs, the first of which is the Virgin Mary, or the Lady of Deliverance, providing the title, the framework, as well as the ironic slant. Less visible but equally salient is the palm tree. Providing lyricism as well as poetry in an otherwise dark novel, the palm tree is the sacred tree of the Semitic civilisations, the potion of life for Assyria and Babylon. In tribute, the Hammurabi code made the violation of palm trees punishable by law. Beyond history and legend, palm trees play a more concrete role. They provide nourishment, moral as well as physical. Palm trees are not only the source of Youssef’s livelihood for 50 years, they are also his fount of fulfillment and gratification, furnishing him with an alternative to the elusive female presence in his life. An emblem of Iraq, palm trees even take on a life of their own: well-tended or abandoned, blooming or withering, towering and proud but always requiring the care and love of humans. Compact in its wording, the narrative is coherent and organic, providing a distilled tale with panoramic dimensions. 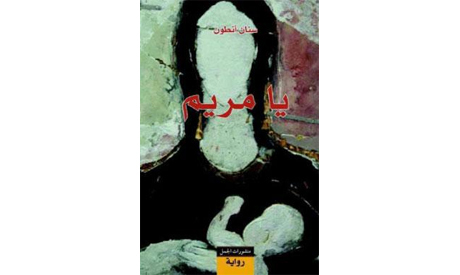 Ya Maryam is a most appropriate title for a novel that teems with broken lives and broken dreams, abandoned homes and farewells, where the reader needs to dispel thick clouds of smoke in order to see patterns of life ordered by food and drink, religion, poetry and music. Ya Mariam is the timeless invocation of the divine in acknowledgement of human frailty and helplessness vis-à-vis the traumas of life.